Wills – Trusts – Estates…WHAT?! – A person appointed by a probate court to settle the affairs of an individual that has died without a will. – The disposition of real property by will. – A reversion of property to the state in those cases where an individual dies without heirs or devisees, and, in some states, without a will. – A person’s possessions. The extent of a person’s interest in real property. – A person appointed by the probate court to carry out the terms of the will. – One who might inherit or succeed to an interest in land of an individual who dies without leaving a will. – Designates the estate or the condition of failing to leave a will at death. – A grant or reservation of the right of use, occupancy and ownership for the life of an individual. – Another term for a will. Commonly referred to as, “last will and testament”. – The state or condition of leaving a will at death. – A man who makes or has made a testament. The term is Testatrix, if that person is a woman. 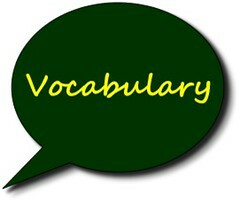 – A property right held by one as a fiduciary for the benefit of another. – A person holding property in trust as a fiduciary for the benefit of another. – A written document providing for the distribution of property owned by a person after his or her death. Just feel more confused…..it’s ok!! Call us @ 239-415-6574 or email us @ jferri@title-junction.com for any of your title needs or questions!! Look for lesson 6 in the coming weeks! Posted on November 9, 2012, in Title and tagged Administrator, Devise, Escheat, Estates, Executor, Fort Myers, Heir, Intestate, Jennifer Ferri, Life Estate, Property Guiding, SWFL Real Estate, Testament, Testate. Testator, Title Insurance, Title Junction, Title Work, Trust, Trustee, Trusts, Wills. Bookmark the permalink. Leave a comment.